Starting from your knees can be good and bad. The good– Starting from your knees can make training safer. Many people get injured during takedowns. You could get thrown hard, land wrong, or land on someone else. Takedowns in a crowded room are dangerous. Starting on your knees avoids this danger. It is hard to get thrown or get hurt during a takedown if you are already on the ground. Avoiding injuries is the main benefit to starting on your knees. The bad– BJJ is plagued with people with poor takedowns. Many students spend countless hours practicing BJJ, only to avoid rolling with takedowns. Students know that you can learn a move but you need to be able to perform the move on a live opponent before it is one of your good moves. If you avoid doing takedowns during rolling your takedowns will suffer. We have all seen professional MMA fighters desperately pulling guard and failing to get their opponent to the ground. This situation is often a result of years of starting from the knees way too often. 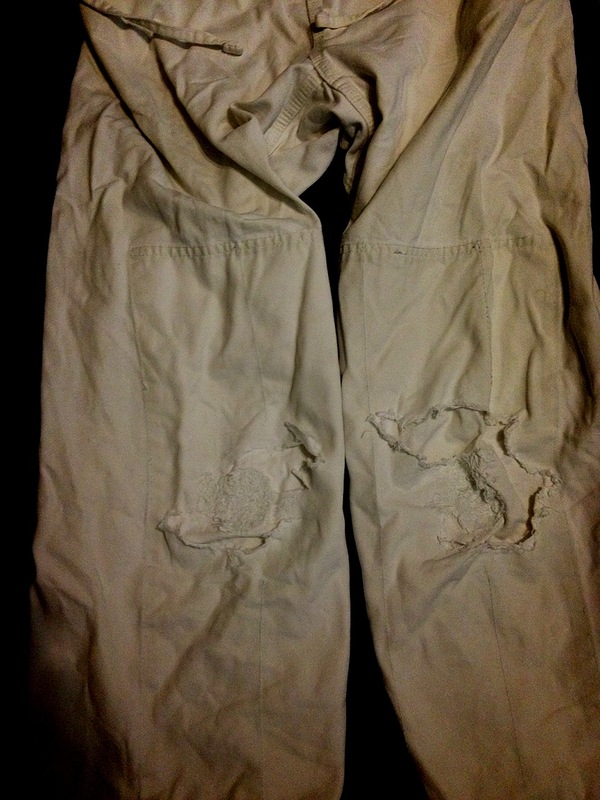 Sadly a lot of gi pants end up dying too young. 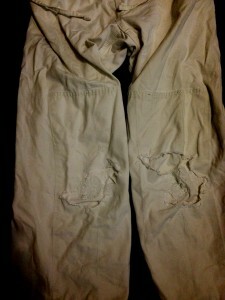 The worn out gi pants– Many students spend too long fighting from their knees. When two students spend time and energy battling for position from their knees they are wasting their time and not developing their BJJ game. You are very unlikely to find yourself in a competition with both competitors on their knees. If this happens to you, stand up or pull guard, and get the match started. I recommend standing up; this competitor has likely neglected the takedown game and they might give you two easy takedown points. Don’t spend your time trying to learn neat submissions that are designed for two kneeling competitors. There is a time and a place for starting on your knees, but don’t overlook the importance of takedowns. Don’t forget there are other ways to start. You could start with someone on mount or on the back. Starting from any position is a great way to avoid injuries from takedowns, and can make rolling even more interesting. 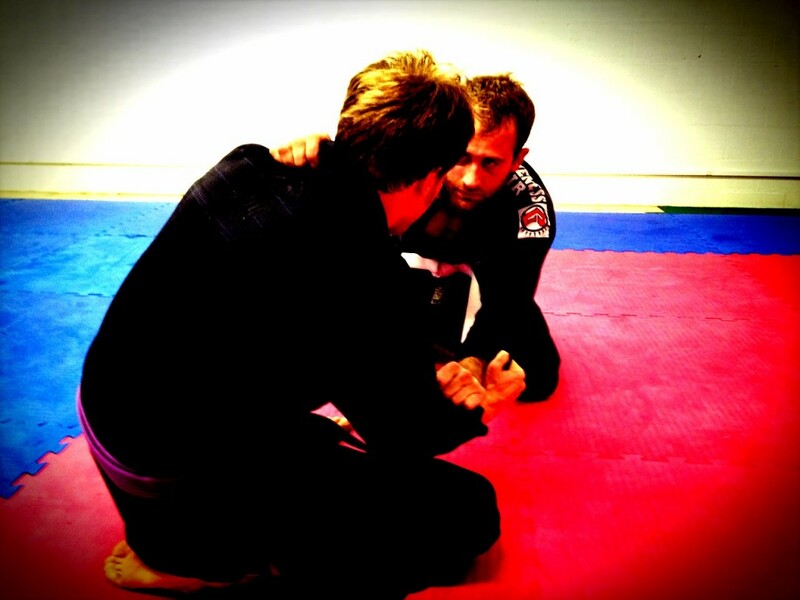 This entry was posted in Article, BJJ Culture, New to BJJ, Tournament Tips and tagged avoid injuries, better takedowns, bjj strategy, bjj tips, knee wrestling, poor takedowns, Starting from knees, train safe by byronjabara. Bookmark the permalink.